1. Put your right hand up to your nose. Hold your index and middle fingers on your forehead to hold your hand stable. You'll notice your thumb is on the right side of your nose and your ring and little fingers are on the left side. 2. Now use your thumb to plug your right nostril. Take a slow, deep breath in through your left nostril, counting to eight. Slow down your in-breath so it takes eight seconds to fill your lungs. 3. Plug your left nostril (so both sides are now blocked) and hold your breath to a count of eight. 4. Now lift your thumb off your right nostril (keeping your left nostril plugged) and breathe out steadily, through your right nostril only, for a count of eight. 5. Do not pause at the end of the breath. Immediately start breathing in and breathe in through the right nostril to a count of eight. 6. Plug both sides and hold your breathe for a count of eight. 7. Now breathe out through your left nostril for a count of eight. 8. Start all over again, breathing in through your left nostril. Breathe in and out as quietly as you can. This makes your breath slow and even. This seems a lot more complicated than it is. It's very simple once you've done it a couple times. This technique occupies your mind. All the holding and counting is absorbing. This simple activity successfully keeps out other thoughts, allowing you to get lost in it. It is easier to concentrate on alternate nostril breathing than on a mantra. And it is very relaxing. It is a scientific fact that your nostrils normally change dominance. Throughout the day, without using any technique, the blood flow alternates every couple hours between the left and right sides of the nose, causing first one and then the other nostril to become more congested, allowing air to flow more easily into and out of the uncongested nostril. Apparently this shift back and forth every 90 to 120 minutes is associated with brain hemisphere dominance. When the left nostril is more open, people test better on right hemisphere tasks like spatial relations. When the right nostril is more open, people do better at left-brain tasks like verbal expression. Each in, out, and hold is done to a count of eight (approximately one second per count). You can do a less complex version of this. Just plug your nose on one side, breath out, breath in, switch plugs, breathe out, breathe in, etc. Count to three on each side, or four or five. That is from the excellent book, Conscious Breathing: Breathwork for Health, Stress Release, and Personal Mastery. "When I Do Good, I Feel Good"
We celebrate Abraham Lincoln's birthday, and we should. Lincoln was one of the few great men who really was great. Before he became president, Lincoln spent twenty years as an unsuccessful Illinois lawyer — at least he was unsuccessful in financial terms. But when you measure the good he did, he was very rich indeed. Legends are often untrue, but Lincoln was the real thing. George Washington never chopped down a cherry tree, but Abraham Lincoln was honest. During his years as a lawyer, there were hundreds of documented examples of his honesty and decency. For example, Lincoln didn’t like to charge people much who were as poor as he was. Once a man sent him twenty-five dollars, but Lincoln sent him back ten of it, saying he was being too generous. An old woman in dire poverty, the widow of a Revolutionary soldier, was charged $200 for getting her $400 pension. 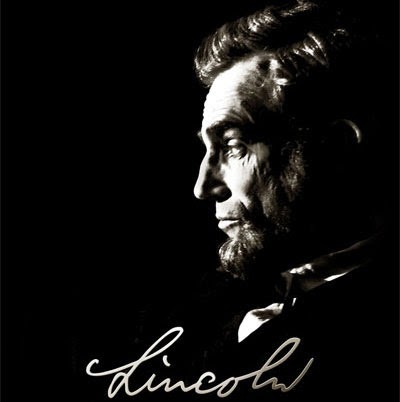 Lincoln sued the pension agent and won the case for the old woman. He didn’t charge her for his services and, in fact, paid her hotel bill and gave her money to buy a ticket home! He was a fool, perhaps, by certain standards. He didn’t have much, and it was his own fault. But he was a good human being by anyone’s standards and I’m glad we celebrate his birthday. Honesty makes you feel good about yourself and creates trust in others. It improves your relationship with yourself and with others. It’s not much in fashion these days to talk about the benefits of honesty and decency, but the benefits are there and they are valuable and worth the trouble. Honesty. It may be corny, but it’s the finest force for good in the world, and it always will be. This is a chapter from the book Self-Help Stuff That Works. The Big Reframe: What Myth Do You Live By? On his first military campaign, George Washington made a terrible mistake. The American colonies had not yet rebelled — that was 20 years down the road. Washington was working for Britain, which was in a “cold war” with France. The two countries were tussling with each other for territory all over the world, including the area near Virginia. 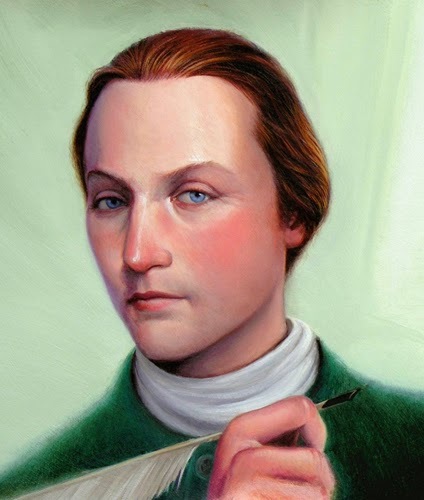 One day Washington and his troops spotted a party of French camping in their territory, and attacked them, killing ten men and capturing the rest. He shot first and asked questions later. He found out later it was a diplomatic party, and one of the men he killed was an important French ambassador. Washington had made a big mistake. The two major military powers of that time ended their cold war and entered a hot war. Imagine, for the moment, that you were Washington, and you made that mistake. What would you tell yourself about it? How would the mistake fit into the overall pattern of your life? In other words: What kind of story do you live in? Where do you think you come from and where do you think you’re going? You live by a story. Have you ever thought of it that way? Each of us has a story, and we are the main character in that story. If I interviewed you for a couple of weeks, I could probably piece together a coherent story that you live by even if you’ve never really thought about it yourself. It’s your life story and it is the meaning of your life. For example, one story Washington could have told himself was: “I am destined for failure.” His father died young, his mother was a nag. Compared to his contemporaries, he was poor. Killing the French ambassador could have been a final straw. He might have concluded that he wasn’t cut out for military work and given up, climbed inside a bottle and we might never have heard of him. That’s one story. That’s one context within which he could have lived his life. And do you see that the story leads to certain feelings and certain actions consistent with the story? Do you think he would feel differently about the circumstances of his life with this story? Of course he would. Same circumstances, different story. But the heroic story would make him learn important military lessons from his mistake and it would help him persist and endure hardships that would collapse a weaker person. The story would give him strength. Judging by the letters he wrote home, the story he lived by was a lot more like this second one than the first one. And because he lived by that more inspiring story, he persisted and he learned and he did make a difference. Man of La Mancha, a musical made in 1972, is based on the story Don Quixote by Miguel de Cervantes. It’s an entertaining story, but it’s also profound. Two different stories, same objective reality. Yet one lives in a life of nobility and beauty and adventure, and the other lives in filth and misery and hatred. What kind of story do you live? Is it heroic? Or is it weak? Do you have a sense of destiny? Or do you have a sense of emptiness? What do you think is your destiny? The destiny of Earth? The destiny of the human race? The story you tell yourself — the myth within which you live your life — strongly affects your feelings and the ultimate outcome of your life. And it can change. You can change it deliberately. MYTHS HAVE BEEN A PART of humankind since very near the beginning. We call them myths when they are other people’s stories; we call them true when the story is our own. A shaman sitting around the campfire 20,000 years ago telling his people how their tribe came to be wasn’t sharing what he thought of as a “myth” or fun little story; the story he told was the context of their daily lives. It was the pattern each of their experiences fit into. It gave their lives meaning. It gave each of them purpose for their existence. It enriched their lives...or it deadened it, depending on the story. Some of the stories we hear of nonscientific people seem quaint — even ridiculous — to us; we all know the earth is not sitting on the back of a giant turtle; we know the universe wasn’t created by the wind. If those nonscientific people took a ride in a space shuttle and looked at the earth, they could see for themselves there’s no giant turtle. And they would come up with a different story. But they would come up with a story. Everyone has either accepted a story from their culture or their family, or created one of their own. Everyone has a story they live. And so have you. It’s important to live within a story that gives your life dignity and purpose. It’ll make a difference in your life, far beyond improving your mood. And you don’t have to force yourself to believe in an old myth if you don’t believe it. Your “myth,” to enrich your life, has to fit into your existing knowledge. It has to be true for you. Because we know so much about the world, many of the old myths are difficult to believe in. Our security-blankets have been snatched away. And for many people, the modern stories they live by are empty, desolate, negative and hopeless. But it doesn't have to be that way. We now know the universe is vast. We know the earth is not the center of everything. We know the forces of gravity and the size of stars and galaxies are beyond our ability to grasp, and they dwarf us and our lives in comparison. But that knowledge doesn’t mean you have to live by a desolate story. It lends itself to nobility and heroism just as easily as any other body of knowledge. For example, you also know that this one little planet is the only one we know of with life on it. Life is precious. The fact that you and I exist at all is utterly amazing! The existence of the universe, and the existence of life is nothing short of awe-inspiring. Many people take this scientific knowledge and — without any leaps of faith — create for themselves a story with meaning. For example, they may decide it is their sacred duty to protect and preserve this planet and its precious forms of life. A person in a position of power may work for policies to prevent animals from becoming extinct or policies to clean up pollution or policies to promote cooperation with other nations. A mother may devote her life to her children and give them wisdom and courage and an appreciation for this rare planet and the miracle of life. A typist for a large office may devote some of his spare time to writing letters to his representatives on issues he thinks are important, fighting the noble battle for Life. Anybody in any position may play an important and even crucial part in the way things unfold in the future. You may make an important difference. You don’t think so? Neither did George Washington in the first part of his life. And what if he hadn’t helped lead the colonies in their fight for freedom? What if he was the crucial difference and we lost the war? What if our experiment with democracy and human rights had failed? It was not a “self-evident truth,” it was an invention; it never existed in the long history of our species. If the colonists' fight against the King of England had failed, would kings and fascist dictators rule the world today? Would the idea of individual human rights have disappeared? Would freedom have been snuffed out? It’s quite possible. Human rights didn’t exist in all the history of civilization. Who can say what a difference he made? Who knows what difference you will make? Your life isn’t over. In the struggle for the right of women to vote in the United States, one obscure man made a difference. He was a representative in a small state. I don’t even know his name. But the right of women to vote (which had won in the Senate by only one vote) had to win in the House. And it did — again by one vote, and that one vote was our hero: A representative in a small state who was expected to vote against it. But his mother wrote him a letter and urged him to vote yes. Her letter moved him, and he voted, and the world has never been the same. That woman may not have done another significant thing in her life, but what she did made a difference. All those small acts of integrity she committed in her life that earned her son’s respect led up to that one important moment when she changed his mind and changed the lives of millions forever after. Each small, relatively meaningless act of her life had meaning and purpose. She may have realized that; maybe not. She may have lived a life couched in a story of nobility and heroism; or maybe she thought of herself as just one worthless person in a sea of worthless people. We don’t know what story she lived. But that isn’t important now. She has passed on. You, however, are alive and kicking. Your story is important. You may be destined to make a difference. You may be the one person who turns the tide. Something important may depend on your goodness or your intelligence or your strength. And all the circumstances of your life right now, especially the parts you don’t like, may be perfectly preparing you for the part you will play in the destiny of the earth. Some people make a difference with their lives but don’t know it, because what they did only set the stage for what came later, but what came later could only have happened if that stage was set. Whether you see the results of your strength and goodness isn’t the point. The point is that the story you live by makes a difference in your life right now, regardless of what happens later. If you have a cynical or empty or tragic story right now, it may make all the difference that you’re reading this. This may be your turning point. And your belief that it is your mission to do what you can may be what keeps you trying against the odds, and it may be that because you try against the odds, you make a crucial difference. Your story is to some degree a self-fulfilling prophecy. Make it a good one. Create a story that gives you dignity and purpose and meaning and strength of character. Teach that story to your children. This article was excerpted from the book, Viewfinder. Find a description of the book here. I've read a lot of books on fasting, and almost all of them mention significant health benefits. When I first started reading this stuff, the claims seemed over the top. Nothing could be that beneficial. I tried to find some studies supporting these claims, but I found very little. I didn't find much research either supporting the claims or refuting them. But then a study came out that changed the way I think about fasting. I first read about it in InteliHealth, a newsletter that publishes medical findings. They have never promoted fasting, and probably wouldn't recommend it (that's the general medical stance on fasting — it's dangerous). In other words, InteliHealth has no vested interest in saying fasting is great. And yet this study is remarkable. The experiment was conducted by Mark Mattson and his team at the National Institute on Aging. Mattson fed mice nothing every other day. The mice could eat as much as they wanted on the days in between, and they did. They pigged out. They ended up eating very nearly double what normal mice eat in a day. But fasting every other day caused them to live longer and healthier lives. A lot longer and a lot healthier. The researchers don't exactly know what to make of it. Mattson said, "We think what happens is going without food imposes a mild stress on the cells, and cells respond by increasing their ability to cope with more severe stress." He said maybe it's similar to what happens when you lift weights: You stress your muscles and they respond by growing stronger. Near the very end of the study, they injected all the mice (those fasting every other day, and those eating a normal diet) with a toxin that damages the cells in the same part of the brain Alzheimer's damages in humans (the hippocampus). Mattson and his team later looked at the brains of the mice and found that those that had been fasting every other day suffered less damage to their brain cells. This study made me think that maybe at least some of the claims in these fasting books might have some validity. I've been thinking about this. It seems likely that at least an occasional state of hunger would have been fairly common throughout our evolution. Our bodies might be adapted to it. Maybe it creates unnatural problems when the body doesn't ever go hungry. Maybe eating three square meals a day, every day, is unnatural. Up until the first time I fasted, I had gone my whole life without ever going even one day without food, and I very rarely even went twelve hours without food. For the millions of years mammals have been evolving and right up to our invention of agriculture a short ten thousand years ago, mammals probably went hungry many times in an individual's lifetime. Surely our bodies have evolved to handle this. Maybe that's why it is totally accepted by most people in the health profession that human beings gain about a pound a year. Maybe that is part of the body's adaptation to the inevitable lean times the eons have adapted us to. In other words, eating plenty of food every day is probably unnatural for mice as well as for people. An occasional fast might very well be more natural and better for us. Read a personal account of my longest fast yet: Fasting, Metabolism, and Happiness. I would like to add one more benefit I have found from fasting: It is really easy to change my diet after a fast because everything tastes great. 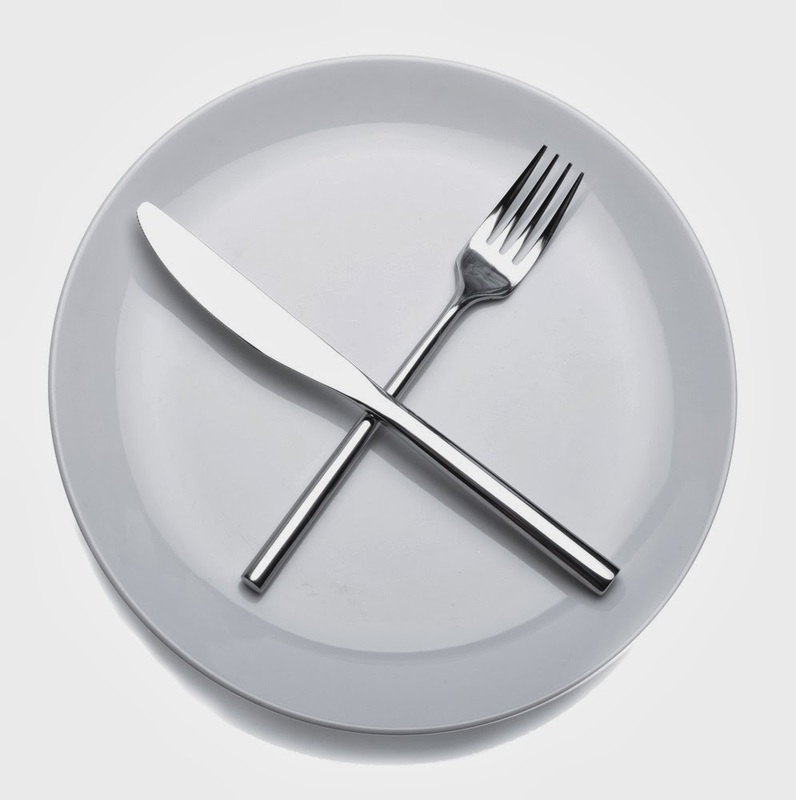 If you want to change your diet, you might try fasting first.